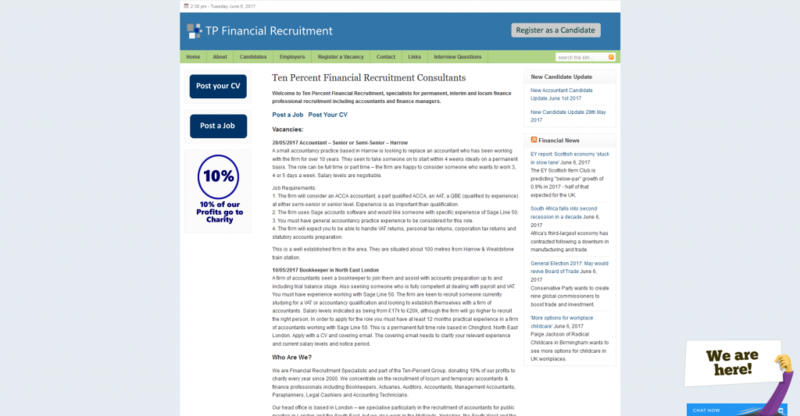 TP Financial Recruitment is our specialist accountancy recruitment service. Established for over 10 years, we deal with a range of vacancies from semi-senior accountants in small high street accountancy firms through to audit seniors working in multi-national accountancy practices. 12 month rebates, competitive fees and years of experience.